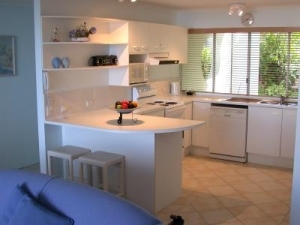 Sundancer Apartments relax and enjoy the sweeping panoramic views of Queensland's beautiful Sunshine Coast and Noosa's Surf Coast - just perfect at Sundancer there are two and three bedroom apartments over three levels. All apartments have ocean views whilst the four penthouses have their own private roof terrace and barbecue and, of course, fabulous ocean views the unique laid-back village atmosphere of Noosa's Sunshine Beach makes it the perfect holiday destination for those looking for a short break to rest and revive, or for those taking a well deserved family holiday. Located at the northern end of 9 kms of pristine white sandy beaches, there is ample room to surf, swim or just sunbake.